The stock market is a thing of wonder—the buying and selling of company shares that happen in the stock market gives companies more access to capital, and investors a part of the ownership in the listed companies. But how exactly do companies have their shares traded on this market? Calapan Ventures Inc. (CVI) is a water-utility company that listed at the Philippine Stock Exchange (PSE) in November 2011. The firm, incorporated in January 2009 and primarily supplies water to Calapan City, Oriental Mindoro, is looking to “tap the capital market for funding as we expand to more towns and cities in the country,” says Ortrud Yao, CVI’s chief financial officer (CFO). While the stock market may be able to infuse the additional capital your business requires, a company has to meet certain criteria prior to listing. It took two years of planning before CVI could be part of the stock market. 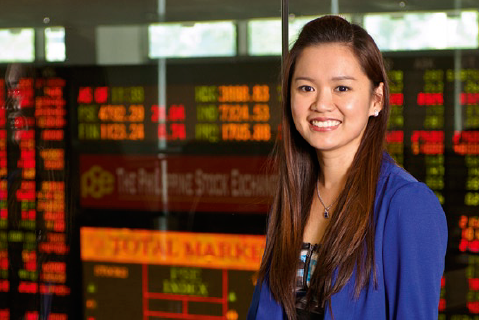 The company’s market capitalization or total value of tradable shares at the time of listing was P500 million. That’s higher than the minimum market cap—P250 million—needed to list at the second board. “We did not encounter a lot of problems because we’ve been preparing for the listing since 2009,” says Yao. CVI spent approximately P10 million for its IPO, covering listing-related expenses and professional fees. The bulk of the budget was used to engage the services of a legal counsel (Tan, Venturanza and Valdez), as well as an underwriter and issue manager (Unicapital Inc.). “We also had to get used to having our external auditors, Constantino Guadalquiver & Co., perform audits on us more often because of some regulatory requirements,” she adds. A company planning to list at the stock market must have at least one year of operating history to qualify, proving that its operations are stable and profitable. Building up its experience, points out Yao, allowed CVI to develop a sound business model that serves as a guide in offering quality services to customers. “For investors, it is not enough that our performance has been good. They always look ahead and give the greatest importance to the company’s growth potential,” she explains. Aside from servicing Calapan, CVI has also been providing water to households in Tabuk City, Kalinga. CVI raised P105.4 million from its IPO. With this amount, the company will be able to finance zoning works that will help reduce water-system loss from a high of 36% to 20% by the end of 2012. Part of the proceeds will also be used to expand storage facilities and to finance a more ambitious goal: constructing a sewerage system in Calapan to ensure sustainability of CVI’s water resources. If these plans bear fruit, greater profit and benefits are in store for the company.